U.S. forces have conducted their second airstrike against al-Qaida in Libya this year, officials said. A U.S. Africa Command release noted the strike, conducted on June 13, killed one terrorist, who had not been identified as of Friday afternoon EST. The strike did not kill any civilians and hit an estimated 50 miles south of Bani Walid, Libya. The first strike was conducted on March 24 and killed two members of the terror group, including Musa Abu Dawud, a high-ranking member of al-Qaida in the Islamic Maghreb, according to the release. Lawmakers ask experts what the Trump administration's strategy is for the war-torn country. Another strike occurred against an ISIS target earlier this year. Last year the U.S. hit targets in Libya a dozen times, according to data compiled by the Foundation for the Defense of Democracies Long War Journal. Both strikes were conducted in coordination with the Libyan Government of National Accord, which is a United Nations-backed interim government in Libya. The same organization tracked more than 500 strikes in 2016. The command officials are still assessing the results of the strike, according to the release. During a House Foreign Affairs Committee hearing in April, representatives heard testimony from area experts that both ISIS and al-Qaida were regrouping in the war-torn country and reports indicated that Russian military units were pushing for a larger presence in the ongoing civil war. “Militias, criminals and terrorists” are operating with “impunity” in some areas of Libya, said Chris Blanchard in the April hearing. Blanchard is a specialist in middle eastern affairs in the Congressional Research Office’s Foreign Affairs, Defense and Trade Division. 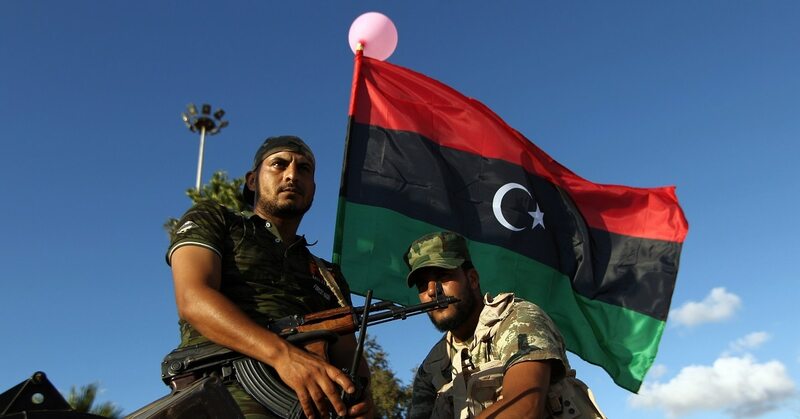 The militias and terrorist groups affiliates rose to public prominence at the beginning of the Libyan civil war, which began after the fall of the late dictator Muammar Gaddafi. Officials and experts in the hearing were concerned about violence and arms spilling into neighboring countries of Libya. Dawud, the target of the successful strike in March, had commanded AQIM’s zone in the southern portion of the country since 2012. He was believed to have been connected to multiple attacks, including a February 2013 attack on military barracks in Khenchela, Algeria and a July attack that year on a Tunisian military patrol, according to State Department officials. Algeria and Tunisia are not alone in being affected by the violence in the unstable country. Arms trafficking from Libyan stores has been witnessed through ISIS and AQIM operations in Mali, Chad, Sudan and Egypt. But in the April hearing, experts pushed more for diplomacy than ground combat engagements to help stabilize the situation. They stopped short of calling for a boots-on-the-ground peacekeeping mission in Libya. But not because of the costs associated.